In this article we discuss the various wifi management software with which you can manage your WiFi hotpsot/zone. The wifi management software you choose should be cross-compatible with as many hardware manufactures as possible. To save costs we strongly recommend using a cloud controlled WiFi management software instead of a system that runs on your local server. This means, you should be able to run 1000s of WiFi zones at different locations using one cloud based software. Your WiFi Management software needs to have sufficient modules for WiFi monetization i.e. you should be able to make money by selling WiFi advertising or vouchers/coupons. Different WiFi software companies charge you differently. Some include it as a part of the hardware cost. Some charge a fee per user. Some charge per Access Points. It’s highly relative from company to company. In this article we mainly focus on the free stuff! An open source alternative for managing your WiFi hotspot. Needs some development knowledge to build upon this solution. An open source alternative for managing your WiFi hotspot. Highly robust but a bit complicated to use. An open source alternative for managing your WiFi hotspot. 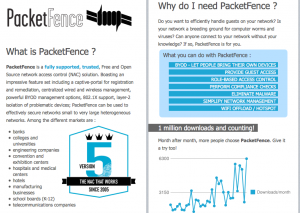 Particularly designed for Wifi Internet service providers who want create plans and sell WiFi. Not meant for wifi advertising. The software is free to use but their routers are a bit expensive! However, they have a robust network access control software! 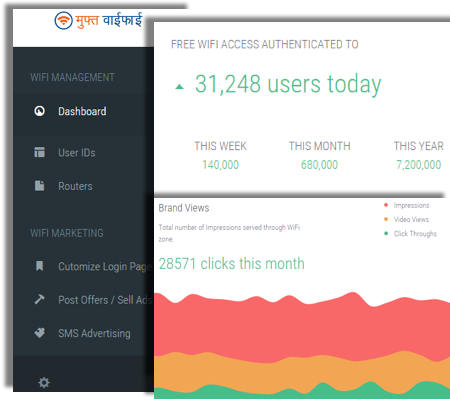 Free to use WiFi management software with an in-built WiFi advertising platform. Muft WiFi focuses on lowering cost of wifi distribution and provides attractive ad and coupon formats to monetize from your free wifi hotspot.